The first fully autonomous, self-driving Volvo car that will be handed over to a member of the public to use on public roads, rolled out of the company’s factory yesterday. Volvo’s ‘Drive Me’ is currently the world’s most ambitious autonomous driving project and one that Volvo plans to conduct with real people in real driving situations. After nearly two years of testing and development work with Volvo engineers in controlled environments on the streets of Gothenburg, Sweden, the cars are now ready to meet their public and for the real testing to begin. 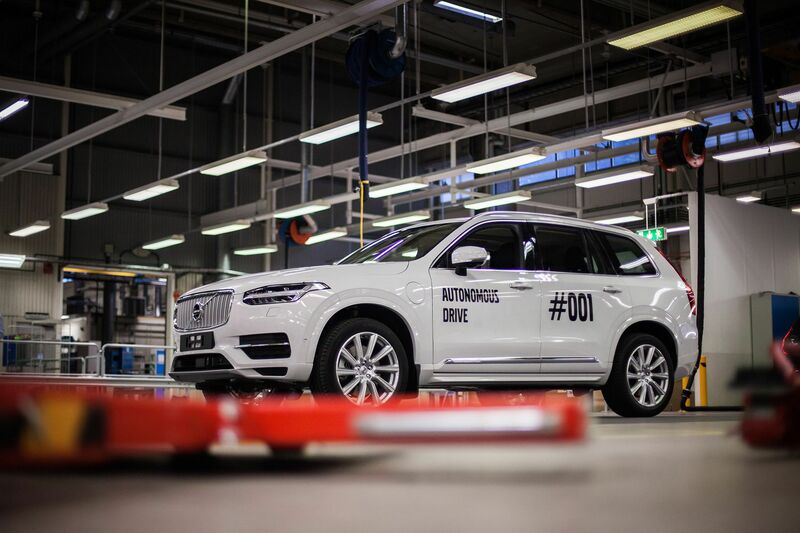 The autonomous cars are based on the company’s current XC90 SUV flagship and though production is now underway, Volvo is quick to point out that each car will be subjected to some rigorous testing before it is handed over to a member of the public. The testing in Gothenburg is just one of several similar trials Volvo is conducting as part of ‘Drive Me’. For example, next year it will be ready to hand over the keys to customers in London for real-life testing and is assessing the feasibility of bringing ‘Drive Me’ to a Chinese city.